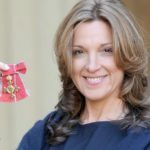 Barbara Broccoli is an American film producer known for her work on the James Bond film series. "I think Bond the character is distinct: He’s British, he has a certain code that he lives by, he’s incorruptible… he’s a classical hero, but he’s also fallible. He has inner demons, inner conflicts, and he’s a romantic."